I met Nathan D. Paoletta in 2011 when I was living in Chicago. We shared a few beers and I had a peak at his insightful thinking and his wits. Sharp, I can tell you! Later on I proceeded to back his Kickstarter project and I was really pleased I did. But that’s for another review. So when I found, literally by chance, Annalise when I visited Conception 2012, I just had to have it. And I haven’t regretted it! This book, labelled as the “Final Edition” is a small book in horizontal format. Just that gets a few brownie points with me. It is original and denotes that quite some thought has been given to the book. The lovely photo and the minimalist and simple, but very effective, blood splatters on the cover did the rest. And did it very well indeed. The layout is just as good. I will admit that, when I flicked through the pages in a first exploratory incursion into the book, I was a bit puzzled about the layout and I immediately formulated a few reservations. Vehement ones. But I kept them at bay and I started to read. The book starts with a short story. The story of a girl haunted and hunted by something she doesn’t know, doesn’t’ understand and sure doesn’t need. The literary style and format is that of a diary written by a teenager girl, with sketches, hand written font and the right texture in the background. The only thing I could say they missed is that, in times when we hand write and we’re under stress, our writing changes. Alas with a computer font, even if it looks like hand written, it doesn’t happen. This doesn’t detract, at all, from the story or the careful thought put into the whole layout, however. It truly is a joy to read and behold. After that, the book uses the layout very cleverly, as it happens. Some pages have two columns. Some pages have one column and side notes, and some pages have two columns. The pages with one column have that column in the right side of the page. That is, in the correct side. The side notes are used to provide examples of play and additional information that is related to the bulk of the text. They are used as they should, and not as a gimmick to fill space. Also the reading flow is respected and at no point you feel you have to stop reading your paragraph to go and get the information you need from the side notes. Also the subtle changes to font size for bullet points and other text elements makes absorbing information a lot easier. And that is good because in this book there is a ton of information, some of it not easy to digest. The premise of the game is to tell the story of a group of people who are hunted by a vampire. As simple as that. However Nathan has ripped the gaming book apart and developed some techniques that are designed to really make you think. The game mechanics are very different from what you’d expect in a traditional Role Playing Game. For starters the world, the characters, the conditions, the story advancement and pretty much everything else, develops as the players decide, but not just one player who writes an adventure with a specific goal and a specific progression path. Oh no! This time you have to start creating your character, then start playing and then complete your character as you play. And the way to do it is amazing. Claiming other characters that players may know could define what character you play. “My character has a sister who is 3 years younger” – “Excellent, I will play your sister” would be an example. You then have to define a vulnerability, something that makes your character the target of the vampire. And, of course, you’ll be able to use this as the adventure progresses as you see fit. The secrets were another of the mechanisms that really got my attention. The players write down a secret that no other player will know and they will have to build up during the game, so at some point it is revealed and used to their advantage. Those secrets can be as close to real ones or as far removed as we want, so a true opportunity for self-exploration is more than possible. The fun thing is that, should you choose to, the secret can be added to a hat and be distributed to a different player so they have to carry it. That can put the hell of a spin to the character you had in mind from the start! There are more of this innovations in the game. Such as claiming traits, situation, elements of a scene, emotional responses… A lot of elements that, in our routine life we don’t really notice. However, Annalise makes us think about them, and makes us use them in creative ways to develop a story. Fantastic! Even if this sounds cliché, I will say that Nathan hasn’t written a game. He’s created an experience. It just happens to take the shape of a game to become tangible. This game is not for beginners. And it’s not for young children either. Some of the concepts can be confusing at first, and no doubt they’ll need a lot of trial and error until the players get used to putting them into practice. 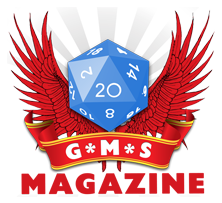 The kind of GM-less nature of the game will also need some practice and will work a lot better in a group of mature players who, either know each other well, or have a good knack for conversation, patience and cooperation. This game could rub people up the wrong way very easily too! The only criticism I have is that the book packs a lot in a very short space. This game could do with being developed into a larger book and provide with a more approachable style of explaining the rules. This is not to say it’s badly done, quite far from it, but being concepts that are so far removed from most other role playing games, extra clarity would go a long way to make the game more enticing. However, with a bit of effort (not a lot) this game could be the most incredible tool for anyone wanting to write or develop a story. Any type of story. The dynamic approach to story, setting, character and plot development could become the perfect remedy for writers block, and a wonderful game for people who need great story telling combined with near complete freedom to invent and imagine. I don’t know how easy or difficult it is to obtain a physical copy of this game, but if you are thinking of ways to enhance the story telling aspect of your current game, or if you’re planning on writing your own game, Annalise could provide you with the ideas you need to do something really special. 5 Stars to this gem of a game that everyone should know about!